France: be visible or get done! Claude Guéant, French Interior Minister, has just announced one of the most ridiculous and absurd pieces of legislation that will force all bikers in France from 1st January 2013 to wear at least 125 cm2 of reflective clothing between the waist and the shoulders. Not only bikers who reside in France will be obliged to comply with this policy but also all those who visit France by motorbike/scooter. If you are caught not wearing the required reflective clothing, you will be liable for a fine of 68 euros payable on the spot and at least two points taken off your licence. This is one of the most laughable and absurd pieces of legislation we have ever heard of because a) reflective clothing is precisely not reflective during day light and b) those who ride machines of up to 125cc will be exempt from wearing any reflective clothing on the grounds that they don’t ride a powerful enough bike to be considered dangerous on the roads! Let’s not forget that a very large number of motorcyclists who ride a moped or a 125cc bike are precisely those who don’t hold a full motorcycle licence and have only attended at the very most a one-off 7 hour training course all together. But for the short-minded French transport authorities, bikers who ride larger machines are the ones who cause most concern on the roads because they have been much better trained than every other biker! Whilst it makes perfect sense to educate bikers to be more visible on the roads to minimise the risk of collisions resulting from car drivers not seeing them, it also makes sense to educate car drivers to share the roads with bikers and make them realise that they don’t own the roads. Why are car drivers not forced to apply a yellow sticker at the back (and front) of their vehicle to make it more visible? Why are riders and drivers not treated equally on the roads and, more importantly, why are bikers being constantly treated as irresponsible and rogue citizens? If a series of enormous demonstrations had not taken place throughout France in 2011 against this policy, it would not only be 125 cm2 of reflective clothing that would be required on all bikers but their entire chest, arms and back would have been to be covered! Sadly, we all very well know that the whole point of this policy is for the government to catch as many bikers as possible who don’t comply and take 68 euros of their hard earned money. Rather than investing in adequate training for both riders and drivers, the government prefers to impose stupid rules and make money out of them. Oh well, all we can say is that we look forward to seeing France brought to a complete standstill right in the middle of the presidential elections campaign by more than 100,000 angry bikers blocking the roads in every town and city nationwide. In fact, we can’t wait… bring it on and let’s all have a laugh! I believe the latest thing you will need if driving in France is a “breathalyzer” no joke it’s the latest requirement. As Trevor has just commented, it will be compulsory after July 1st this year for all drivers to carry a breathalyser & from November there will be a mandatory Eur11 fine if you are caught without it. That includes motorcycle riders. The idea being that you can make a self-check prior to starting your journey to see if you are over the limit. It’s recommended that you carry two, so that if one needs to be used there is still a spare if you are stopped. No, really, this is not a bad dream, only the crazy French government could come up with this stuff! I heard of another European country which makes it compulsory for all cyclists to wear helmets. There is this elderly man who protests against the legislation by putting it on drawings. Well, it is not for me to comment on another country’s legislation. But I think you did put your points across well. Thanks for the read! Spot on with this write-up, I really believe that this website needs a great deal more attention. I’ll probably be returning to see more, thanks for the information! 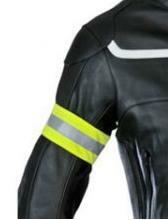 Is there any current news, on the legislation for motorcyclists in France, to wear 125cm2 of reflective clothing. There are a lot of rumours, but very few facts seem to be available. The proposals are of course a complete nonsense. I spent years riding a Police traffic motorcycle. It was painted bright yellow, with flourescent blue and silver stripes, was fitted with three high intensity blue lights, a flashing headlight for daylight conditions, and a deafening American style siren, with switchable tones, and still people pulled out on me, even at slow speeds. Education is the ONLY answer. Drivers must be made to be more aware or pay the penalty. It is ridiculous to keep putting the onus on the biker, and make them pay more, through legislation that clearly does’nt work. The French government is’nt alone of course, they just happen to be getting it all wrong at the moment. I have no doubt, that it will be the British or Germans etc before long. It’s long overdue that the EU and it’s members started listening to the bikers themselves, and used their experiences in their research. Instead of relying on statistical information, that can be made to mean whatever their scientists, and so called experts want them to mean, when many of those doing the research have never sat on a bike, much less ridden one. The French government could of course start, by asking their own, very capable and experienced Gendarmerie motorcyclists. Of course this would involve logic, not something politicians have a good record with ! I support every biker who thinks they are superman and do not want to wear any protective gear on the condition that they have a signed organ donor card in their possession at all times when driving their bike. Phil, the point is not about protective gear but about visibility. By all means bikers should wear protective gear and there is no question of them not to. The point to note is that the French government tried to make money out of the bikers by forcing them to wear a small strap around the arm that does not add anything at all. The only motivation of the French government was to catch those not wearing the arm band on the basis that it is a stupid measure. All they are interested in is your money, that’s all they want! Amusingly, i have just discovered that the new French Government, having suspended the law on the carrying of breathalysers, have decided to extend the compulsory carrying of breathalysers to mopeds. Why amusing ? Because they have also decided, that there will be no penalty for anyone not carrying a breathalyser. I presume it is cheaper to do it this way, Good for the French. Phil, while i understand your sentiments, the last thing anyone needs is more regulations. There are far too many as it is. Also, not everyone can carry an organ donor card, for a number of medical reasons. Those who have had a disease, cancer for instance, cannot carry a donor card, for fear of passing on the disease by organ donation. It’s not just about visibility, but more about freedom of choice. If the EU, and some individual governments have their way, we will all be riding the same unmodified bikes, and all wearing inflatable flourescent suits. They fear individuals, and covet uniformity, because it’s easier to control.